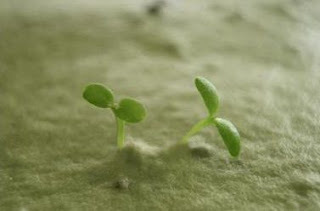 Thrifty and Frugal Living: Free Sample of Seeded Paper That Grows! Free Sample of Seeded Paper That Grows! This Freebie sounds really cool! Go here to sign up for a Free sample of this amazing seeded, plantable paper that grows. The website says that your sample will take a LONG time. If you want to get it sooner, you can pay $2 for a rushed sample. I am perfectly happy to wait.